This One is A Unknown Skill of Unknown Arceus. 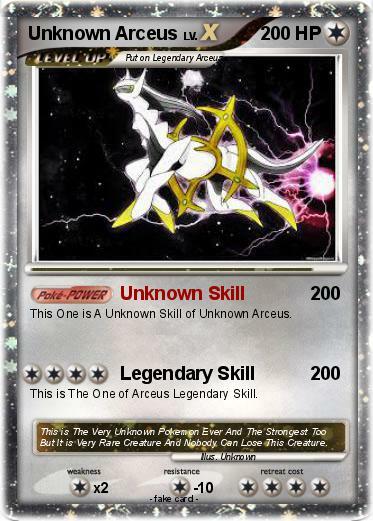 This is The One of Arceus Legendary Skill. Comments : This is The Very Unknown Pokemon Ever And The Strongest Too But It is Very Rare Creature And Nobody Can Lose This Creature.